After two losses, the No. 8 Cal Men’s Gymnastics team needed, and wanted, a win — and that’s exactly what it got this past weekend at the Southern California (SC) United Open. Beating out three other teams — No. 14 Arizona State, No. 18 Temple and then-No. 20 SC United — Cal not only got a win, but it also got a bump in its ranking, moving up one spot in the country. Only the second road competition of the season, the Bears faced the Wildcats, Owls and SC United, a club team, for the first time this season. Last season, the Bears beat SC United 426.950 to 365.900. The Bears repeated the 50+ margin victory this time, beating the hosting SC United, who placed fourth in the Open, 407.300 to 350.050. Cal beat second-place Arizona by 9.9 points and third-place Temple by 31.95 points, outscoring its opponents by an aggregate of nearly 100 points. Performing very well on the floor exercise, sophomore Aaron Mah earned a score of 14.750, the highest event score amongst his teammates and competitors. Senior Nicholas Del Junco came in second to Mah on the floor, finishing second overall and beating third place by .2. Though the Bears struggled a little bit on the pommel horse event, Del Junco came in fifth with a score of 13.000. Sophomore Roshan Toopal came in seventh, achieving a score of 12.700 in his very first collegiate performance, while Mah and redshirt sophomore Mitchell Awisus placed eighth and ninth, respectively. Cal continued to display its dominance of the Open on the rings, as seven of the top 10 gymnasts in the event were Bears. Junior Yordan Aleksandrov came in first with a score of 14.100, while junior Gagik Gharibyan came in second with a score of 14.000. Graduate student Capri Sano, and recently announced team co-captain, placed fourth. Even though redshirt junior Michael Rauchwerger tallied a strong score of 14.100 on the vault, he came in third place, behind Arizona State sophomore Daniel Bronnenberg, a sophomore, and Temple senior Casey Polizzotto. On the parallel bars, Sano, Awisus and Mah placed in the top five, while the Wildcats claimed the top spot. 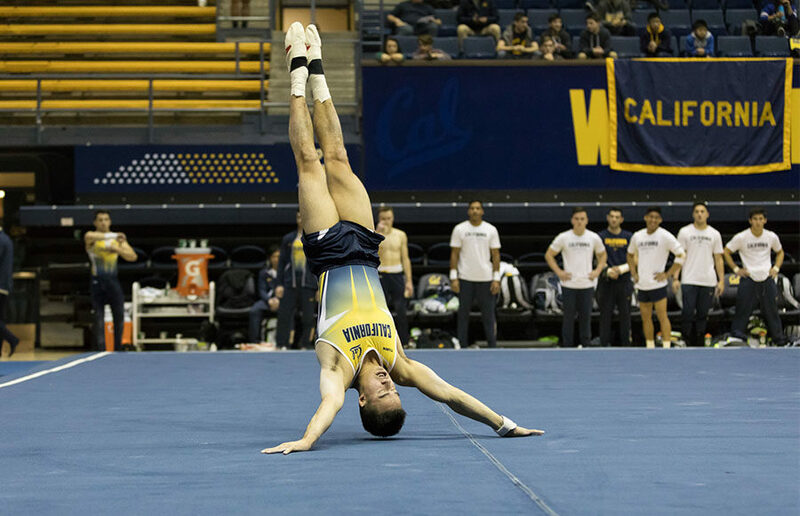 The standout event for Cal, however, was the high bar event, where Aleksandrov, Gharibyan, Sano, Mah and Rauchwerger filled the top five slots at the Open and with Aleksandrov and Gharibyan tying for first place. The Wildcat player in sixth finished more than a point behind Aleksandrov and Gharibyan, and .45 behind the fifth-place Rauchwerger. For the all-around event, Mah was the only Bear to record an official score but came in first place with a score of 81.800. 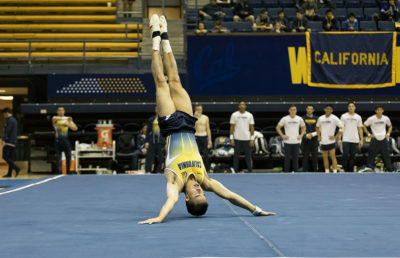 Mah is proving to be one of Cal’s consistently strong team members — as the Open showed, though, each Cal gymnast plays an important role in the team’s success. Earning a win does not mean intensity slows down. The Bears may have won against three teams at the SC United Open, but they cannot afford to lose any momentum. 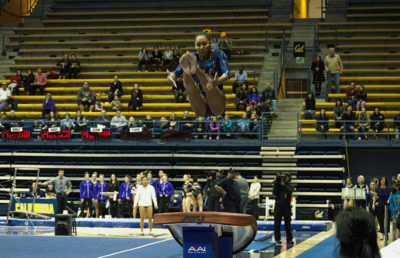 With several more tough competitions still to go, Cal must rely on strong performances from its key gymnasts when matched against more evenly matched teams.